While hanging out on the Sunshine Coast this week, I have been experimenting with the barbecue. It’s rare for me to get the opportunity to play with a BBQ, so I’ve been taking advantage, and trying out all kinds of things. One thing I wanted to try was smoking on the BBQ. Turns out, turning your BBQ into a smoker is not that difficult to do. I’ll graduate to smoking other things (like meat) in a bit, but I wanted my first project to be a simple one: I wanted to smoke some salt. Now, you might be wondering, what the what?? Smoked salt?? Why? For what?? In case you haven’t noticed, flavoured salts are super popular right now. My fave is Amola, a local line available at Edible Canada, but there are tons of other options out there, as well. Smoked salt is a great thing to have on hand. It finishes your dishes with a smokiness. You can use it pretty much anywhere you’d use a regular finishing salt. By “finishing salt,” I mean any time you’d taste your food, and decide it needs a little salt to finish it off. I would never use this kind of salt to say, salt a pot of pasta water, or in baking. If you’re a vegetarian, one thing you may miss is that nice, smoky flavour of meat that’s been seared at high heat. 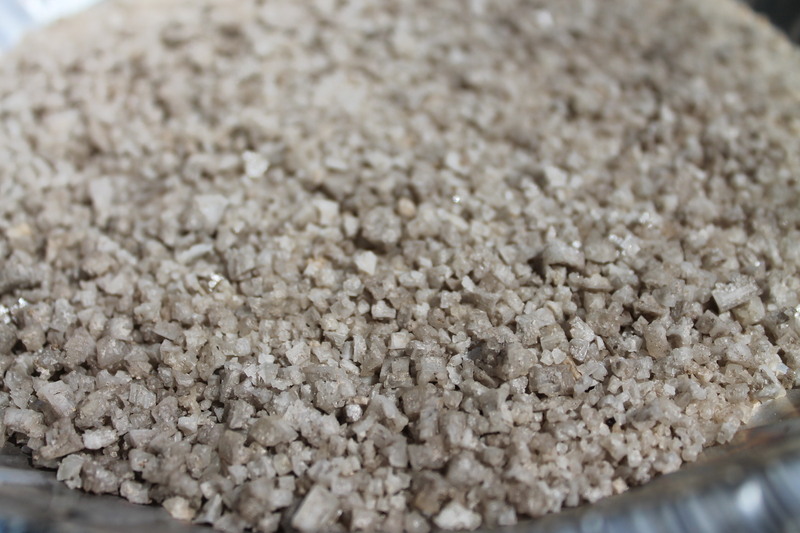 This salt can help to add that kind of flavour, without the meat. It takes a little time, but it’s quite simple to do. Soak the wood chips for a short time—about 15 minutes, and drain well. Place them in one of the pie pans, and cover tightly with aluminum foil. With a paring knife, poke holes in the top of the foil to let the smoke out. Place the pie pan on the bottom rack of your BBQ, in the back, and turn on the heat. Close the lid. You want it to get up to about 400 degrees. Within about 15 minutes, you should start to see wisps of smoke curling up out of the holes in the foil. 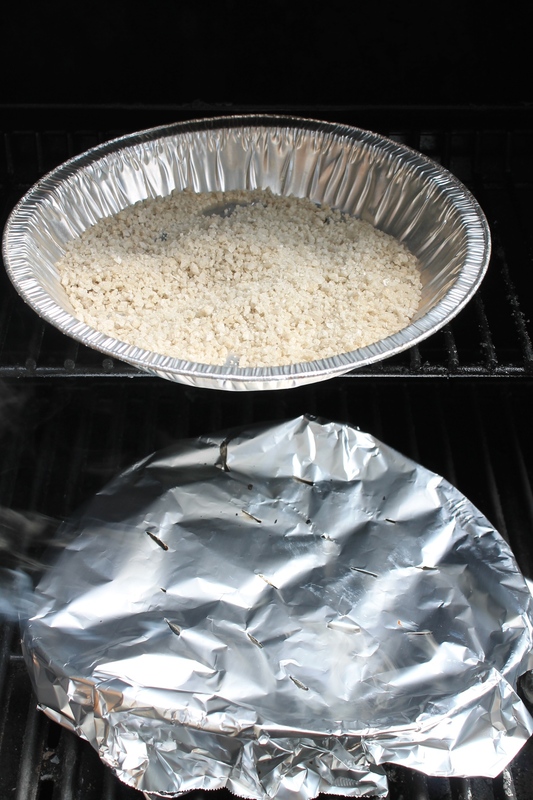 Place the salt in a thin layer on the second pie plate, and place it on the rack above the wood smoke. Close the lid. Allow to smoke for at least 15 minutes, though you may want to do it longer if you want a deeper smoke flavour. The salt will also take on a brownish colour. Store in a sealed mason jar.